Recently I learned that an old friend was diagnosed with cancer. I’d not seen her in a long while and was taken aback at the news. Immediately I offered to bring food for the family as I know that they are very busy taking her to and from doctors appointments. However, because my friend has been following a very restricted diet, my offer of food was not able to be accepted. It wasn’t easy to stand by knowing that the family was struggling. It is my belief that sending food to those in need is in fact sending love disguised as nourishment. While the food can satisfy the body’s need for sustenance, what I envision is that the recipients can also feel the love that they were held in during the time it took to prepare and deliver their food. 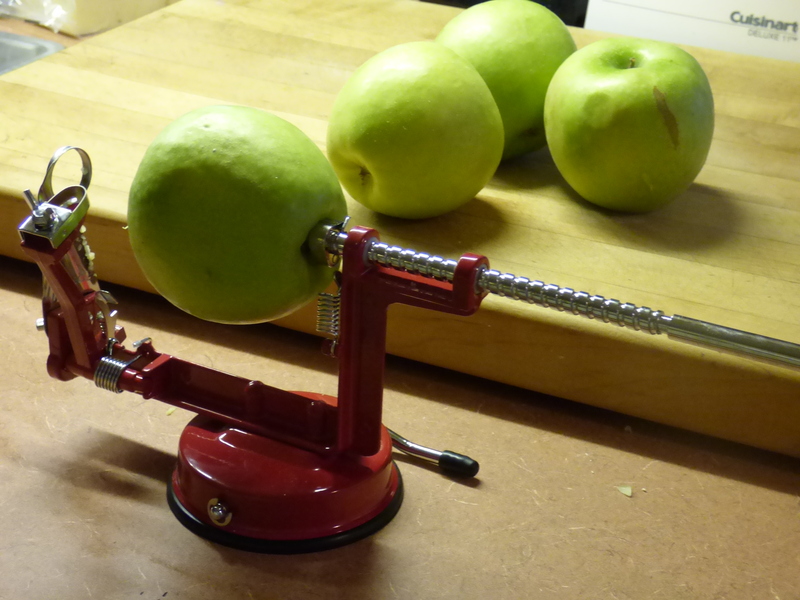 Making use of my new apple peeler – Thank you Nordic Ski Team! Two nights ago I was thrilled when my friend’s husband asked for food to be brought for him and his daughters. More specifically, he asked me for a quiche and a pie. I was honored to be allowed to help in this small way. 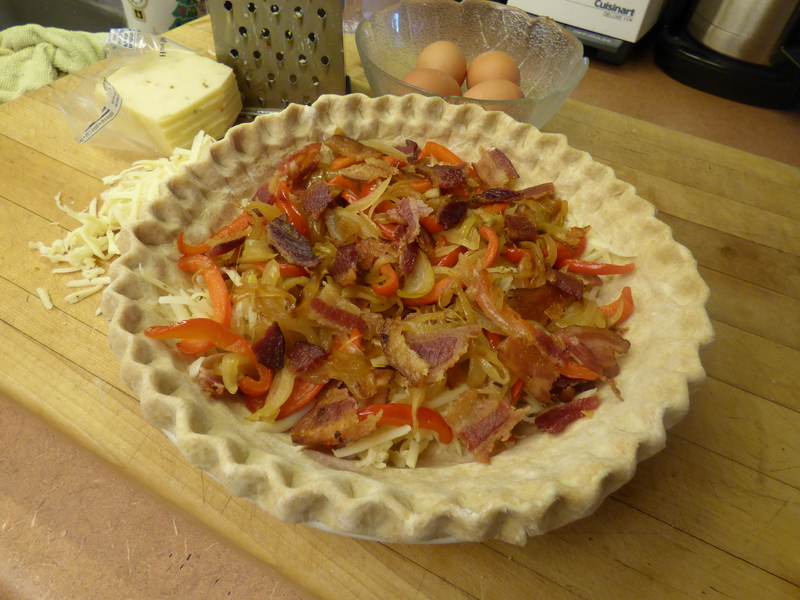 After checking ingredients at home, I made a dash to the store for bacon, apples, and cream. 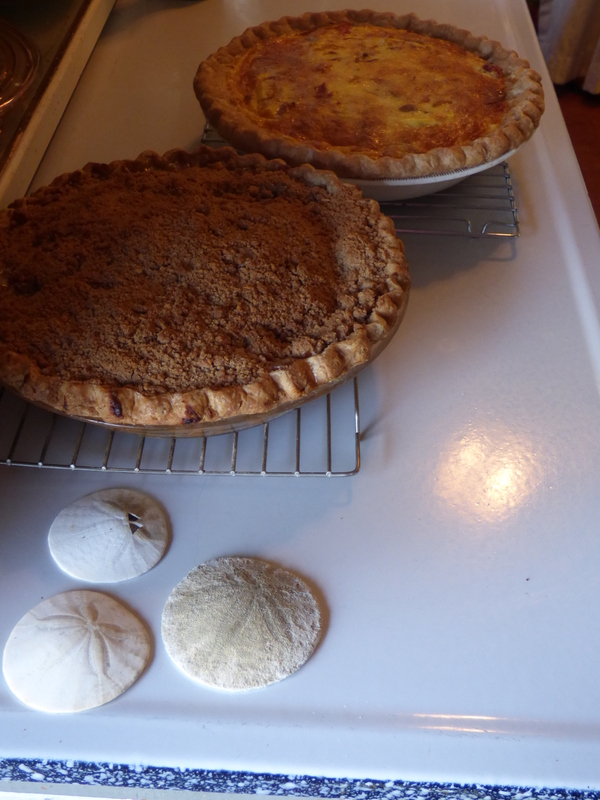 Next morning I arose early and prepared both pies, all the while, holding thoughts of the family in my heart. Love when the juices bubble through like this! 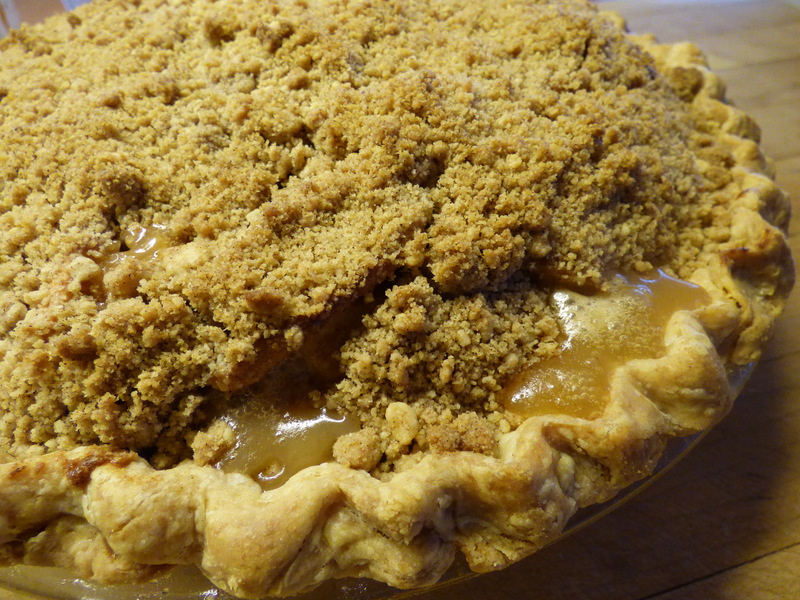 It is my hope that some of that love seeped into the pies and will provide them with a little bit of comfort and the knowledge that they are not alone. Thank you so much for your offering and the beautiful way you described it! Thank you Leslie… I am glad that I could help. Beautiful, Karen! The love you give touches the readers as well. My morning is the better for thinking of you and your baking and holding its recipients in prayer even though I don’t know who they are. Always giving the perfect thing at the perfect time! That’s you, Karen. A wonderful thing you did! But tnen you are always doing wonderful, thoughtful things. You create so much love in your kitchen. Nice post! 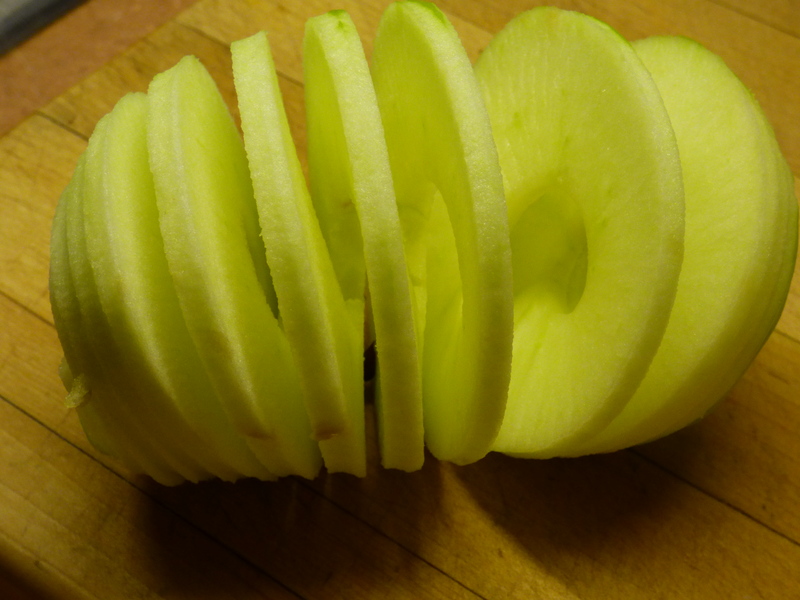 I’ve had one of those apple gizmos for 30 years….they’re GREAT, I agree. We got home from our trip, and I immediately got a lousy cold….so I won’t come over to catch up till I’m not sneezing or dripping…but hope all is well with you and yours.